Hey there, you guys! How goes it?? I was pretty productive today, you know :) I woke up at 6:45am, got kids going, read scriptures, got kids off to the buses, and went back to sleep for a bit. I just LOVE being able to sleep in if I need to. Well, if going back to bed counts as sleeping in. hehe. When I finally decided to wake up, I hurried and threw on some clothes, grabbed Jimmy, and he and I headed to the commissary. As soon as I pulled into the parking lot, I realized that my ID was at Amanda's house. Crap. Because I couldn't get into the Commissary without a Military ID.... So we headed back home to get the ID from Amanda's house. Anyway, we headed back to the commissary, and started shopping. I haven't been grocery shopping in WEEKS, so we needed a ton of stuff. And the cart quickly filled up. We got to the bus stop a few minutes before time, so stayed and hung out. And started to clean the truck out. Dang, it was messy. The bus came, Jim left, and I drove back home. And started cleaning out the truck. 9 socks, 5 pairs of flip flops, 3 plates, 2 glasses, 6 spoons, a hotwheels race track, swim toys, a MASSIVE bag of crayons (spilled and loose, of course), and a plethora of other crap ALL over the car. Sigh. It took quite a bit of work, but I got the truck cleaned out. And Terra came over after her kids were in Daycare, and she helped me carry in the groceries. We got all the frozen/cold stuff put away, and she and I headed out. We didn't know where we were going ,but we we gonna have a good time. hehe. We ended up at Souper Salad. Yummy! I had a modified Greek salad, and LOVED it! We went to Big Lots next, and I SO wanted to get this Tablet style portable DVD player for $89, but they were out. Sigh. Next stop, Walmart. I needed DDP. And yes, that's a need. hehe. We found all sorts of stuff to look at. I can always have fun at Walmart, you know. hehe. We ended up finding blow up swimming pools for our backyards. Sweet! My kids were gonna be excited. As I was out with Terra, I got a call from the school asking about Eme's bruise. I had to give an official statement over the phone to the Vice Principal and the Military Liaison about where and why she had bruises. Sigh. I guess those safeguards are there to protect kids from being abused, right? Hopefully they don't cause problems for us, though... I wonder if it'll help my "cause" with Jake's IEP, though? Boxer wasn't sure about the pool being blowed up in the house. hehe. And we started filling it with water. Check out my SUPER dry yellow grass in the back yard. ha! The kids got home from the bus at 3:30pm, and some of them played in the pool, and some of them watched some TV. Tom read his book. And I started to color my hair. Because the gray just HAD to go :) hehe. Since I'd taught Tom how to start the grill, he got it going for us, and we cooked up some chicken thighs and corn on the cob. Turned out pretty good, too! I got my hair all finished up, and even fixed it up and put on make up. ha! Jim fell asleep on a couch. Poor little dude really didn't feel good. At 8:30pm, everyone was done with activities, and Jake helped me load everything and everyone into the truck. SUPER sweet. He even carried Jim to the truck. Awe, thanks, hon. We got home, I made Jake and Tom do their chores, put the other kids to bed, set Jim up on the couch with a blanket, and stated blogging. It's now 10:41pm, and I'm kinda sleepy. Tomorrow is the OCSA luncheon with Terra, and I'm praying that Jim feels better in the morning. I've got things to do, you know. hehe. Although snuggling on the couch all day with Jim may be relaxing. hehe. ROFL! I just make is SO easy for you, don't I Sharon! hehe. Lovin' the purples! not a blow up pool?!! Ear infections, here we come! With two free pools (indoor and outdoor) there should be no excuse for a pool. But I guess for this summer while I'm not there, it is no biggie! loved the pics Sweetie. You and kids looked great! Thank you so much for this post. 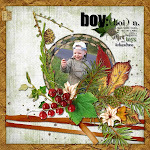 I want to let you know that I posted a link to your blog in CBH Digital Scrapbooking Freebies, under the Page 6 post on May. 19, 2011. Thanks again. Bethany your blog is wonderful, thank you for the great word art! Loved the pictures today, we have a boxer too. There are pictures of her on my blog if you have time to peek. 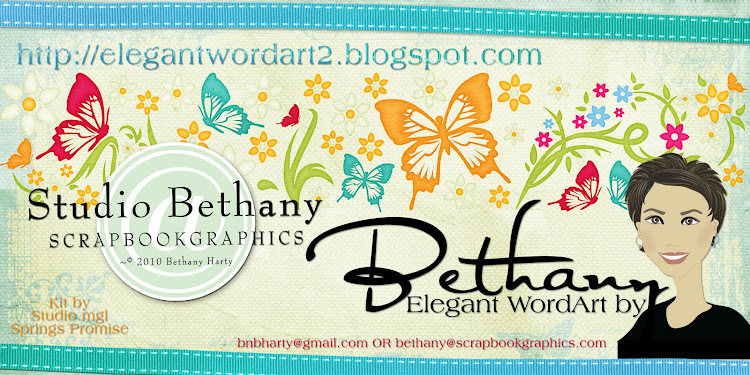 Again, thanks for your word art I can't wait to use it on my cards! Mostly collected the patriotic so far for cards for Operation Write Home. Hugs to you! Bethany, I enjoy reading your blog everyday and hope that things continue to go well for you and the children! Thanks so much for sharing all of your wordart with us. You are very talented! Thanks for sharing your word art with us all. Love the word art! Thanks.. I was stationed at FT Hood.. I love your word art!!! Thanks so much. Your photos are so much fun to see. I wish I took that many pictures of things that are going on. Of course, I'd have to hog tie my teenagers. Thanks for word art!